Most purchases are shipped from our California warehouse within 1-2 business days and are scheduled to arrive within 5-7 business days of shipment of the order. Items sent directly from our suppliers may take longer, and items ordered together may not arrive in the same box. Standard Delivery option is available for all orders in the continental U.S. Most orders are shipped within 24 hours and arrive in 2-3 business days. 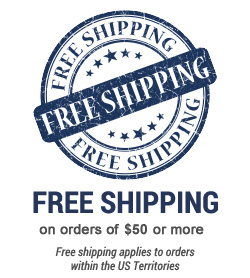 Free Shipping on orders over $50 applies to most items in our online catalog. Certain oversized and heavy items do not apply; in these cases, separate shipping charges are indicated in the item description. All shipping is subject to verification. Items ordered together are not necessarily shipped the same day. We will notify you of any delay beyond 20 days. •	Applies to U.S. delivery addresses in the 50 states only, including Alaska and Hawaii. •	Applies to APO/FPO addresses when using a United States ZIP Code only. •	Weekend delivery cannot be requested. We use a variety of carriers to deliver orders, and some do not deliver on weekends. 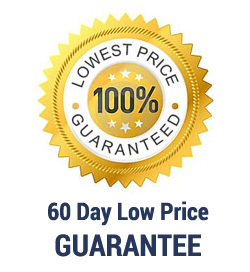 •	Some special product, order, or handling fees may still apply. •	FREE Shipping may be used in conjunction with a promotional code. The qualifying amount is the total amount of the products purchased before the promotional code is applied. •	We reserve the right to change or discontinue our FREE Shipping policies at anytime. Stephanie@EVERYTHINGbutWINE.com or 855-778-9200 9am-5pm PST Mon-Fri . Yes! Simply add your products to your cart and begin the checkout process for a shipping quote. If you feel the shipping quote that is calculated is wrong in anyway please let us know!